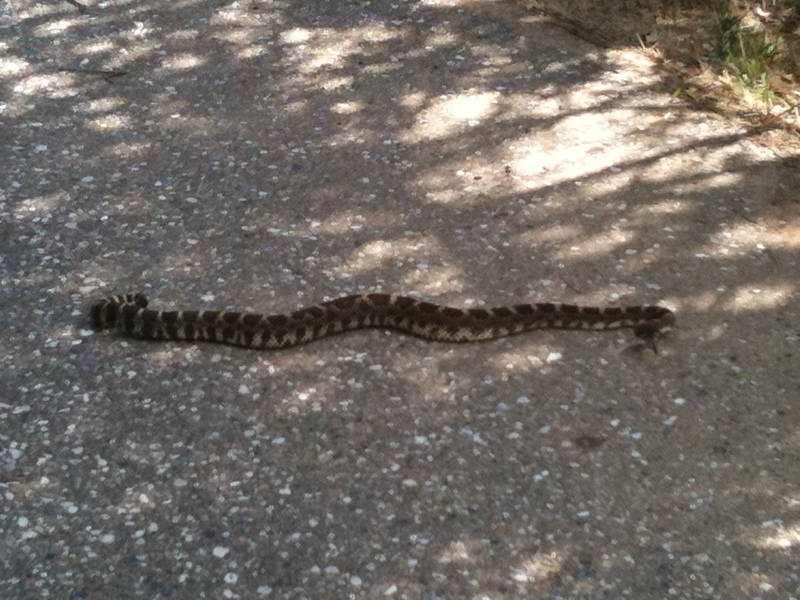 Our fearless technician, Ted, arrived at a customer’s home in Auburn, CA to find a rattlesnake making its way across the customer’s driveway! The customer’s wife and children were due to come home at any minute. Ted, being the valiant pest control technician that he is, safely removed and relocated the snake from the premises and averted a possible disaster! The rattlesnake is California’s only native venomous snake. Generally not aggressive, rattlesnakes strike when threatened or deliberately provoked, but given room they will retreat. Most snake bites occur when a rattlesnake is handled or accidentally touched. The majority of snakebites occur on the hands, feet and ankles. You should be aware that a startled rattlesnake may not rattle before striking defensively! 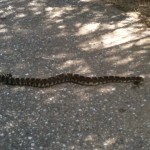 Did you know that rattlesnakes are not confined to rural areas? They have been found near urban areas, in river or lakeside parks, and at golf courses. Around your home, they commonly hide in stacked wood or piles of brush or rocks around your home and property–another reason to clear brush and piles of debris from your outdoor living spaces. And be careful when stepping over the doorstep as well. Snakes like to crawl along the edge of buildings where they are protected on one side. Should you find a rattlesnake (or what you think might be a rattlesnake) around your home or property, do not approach it! Call Gold Miner Pest Control! We are specialists in snake removal and our technicians are heroic! Gold Miner Pest Control and Wildlife Management to the rescue! We serve the cities of Roseville, CA, Rocklin, CA, Lincoln, CA, Auburn, CA, Meadow Vista, CA, Grass Valley, CA, Nevada City, CA, Colfax, CA, Alta, CA, and all outlying areas of Placer and Nevada counties.